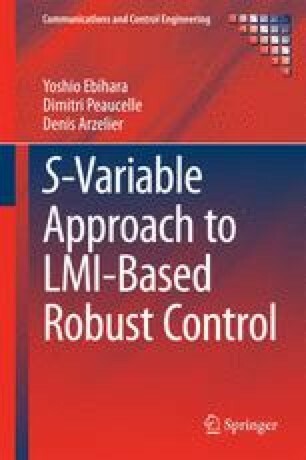 Chapter 3 is an extension of the SV-LMIs of the preceding chapter both in terms of generalization of the results and for further conservatism reduction. First the SV results are generalized to descriptor systems. Not only this result is valuable in itself, but, combined to a model manipulation technique, an infinite sequence of SV-LMIs can be build. This sequence of SV-LMIs is shown to be easy to construct and proved to be of decreasing conservatism. Tests are provided for checking if the conservatism gap vanishes. On examples it is shown that the conservatism gap indeed vanishes and this is obtained early elements of the sequence (i.e., the convergence is rather fast).